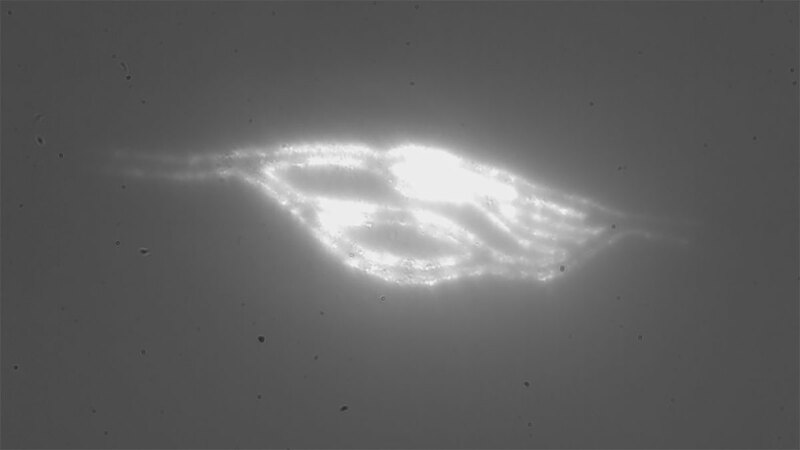 This real-time video shows tiny florescent particles - 5 microns in diameter (the same size as a red blood cell) - moving through an array of 105 capillaries printed in parallel, inside a 700 micron diameter tube. Each capillary is 250 microns long. This video shows real-time printing of a human-sized capillary using laser-based holographic 3D printing from Prellis Biologics. The size of this capillary is 10 microns in diameter and 250 microns in length. This video shows a complete capillary bed being printed in less than 6 seconds. 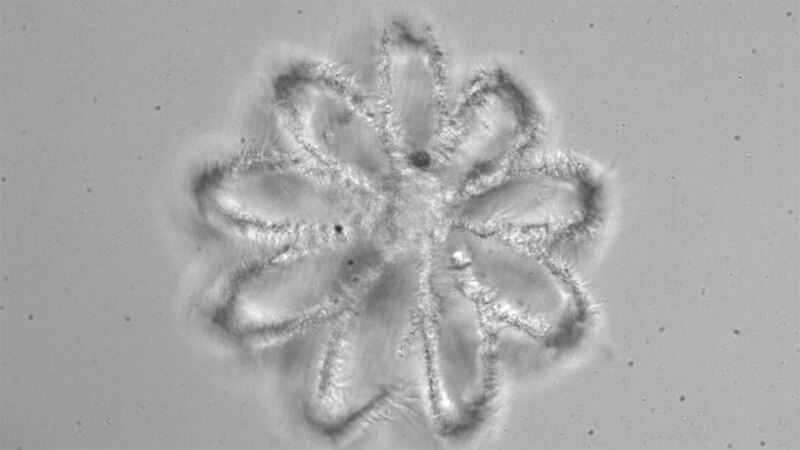 This video shows real-time printing of a cell encapsulation device that is useful for producing small human cells containing organoids. The structure is designed to be permeable and the size is 200 microns in diameter and can contain up to 2000 cells. SAN FRANCISCO--(BUSINESS WIRE)--Prellis Biologics, a San Francisco-based 3D tissue printing company, announced that it has reached record speed and resolution in the quest to print human tissue with viable capillaries, bringing the goal of printing human replacement organs closer to reality. Prellis’ holographic 3D printing technology can create the complex microvascular and scaffolding that allows human tissue to survive. 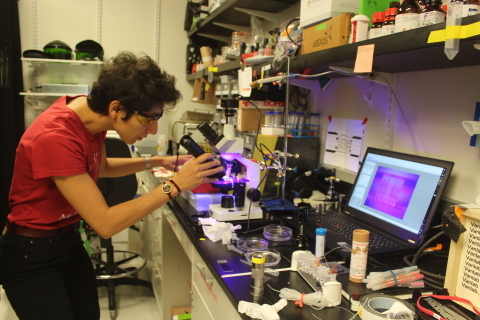 Printing speed is crucial, since cells can only survive for a limited amount of time without a blood supply. And tissue that is densely packed with cells will die in less than 30 minutes unless oxygen and nutrients can be supplied immediately, through capillaries. Fine printing resolution is as vital as speed, since capillaries are microscopic in size —about 5 to 10 microns in diameter (in comparison, a human hair is 75 to 100 microns). Prellis’ technology can print with resolutions as small as 0.5 microns. 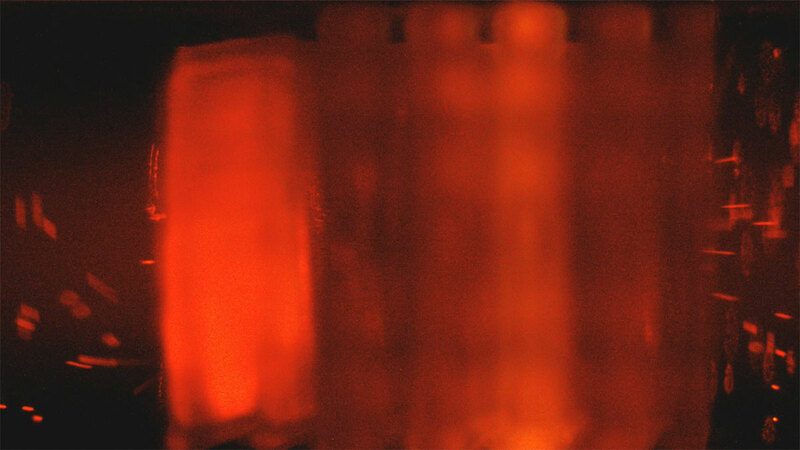 Many companies are developing biological printers and cell-compatible printing inks based on extrusion printing, a form of technology that is too low resolution and too slow to create capillaries and keep cells alive. Scientists have skirted this drawback by producing paper-thin tissue that must be bathed in nutrients, rather than receiving a supply through complex capillary networks. Prellis’ new technology opens the door to the production of thick, functioning tissue for drug and toxicology testing, and ultimately human organs. An estimated 330 people in the United States die each day due to organ failure. Replacement organs and tissues will both lower costs and free patients from dialysis, oxygen tanks, daily insulin injections, and other life-altering interventions. The biotechnology market has a significant unmet need for lab-grown human tissue. The demand for alternatives to organ replacement by transplant, along with the burgeoning need for human tissue in drug discovery and toxicology testing, is revolutionizing the field. The 3D bio-printing market, including both pharmacological and clinical applications, is currently estimated to be worth about $500 million, rapidly expanding to as much as $10 billion by 2020. For more in-depth information about Prellis and the state of the human tissue engineering field, see Prellis’ white paper here.